A growing number of medications are biopharmaceuticals. These are produced using living cells in complex, lengthy and expensive procedures. 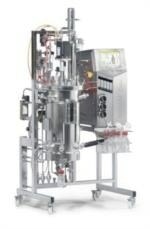 The Bioprocess Solutions Division provides the essential products and technologies to accomplish this. In fact, Sartorius has been pioneering and setting the standards for single-use products that are currently used throughout all biopharmaceutical manufacturing processes. Lab work is complex and demanding: Despite repetitive analytical routines, lab staff must perform each step in a highly concentrated and careful way for accurate results. The Lab Products and Services Division helps lab personnel excel because its products, such as laboratory balances, pipettes and lab consumables, minimize human error, simplify workflows and reduce physical workloads.